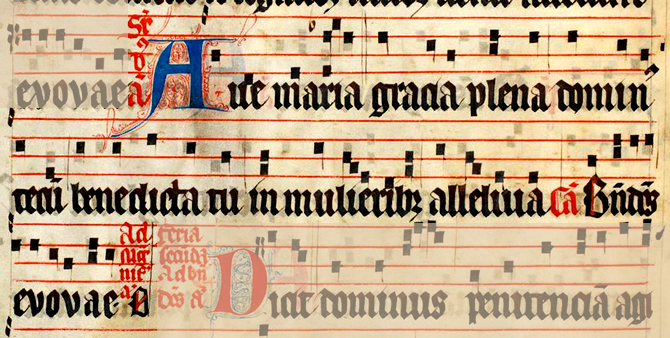 The Antiphonale is filled with an unthinkable amount of beautiful melodies: Gregorian hymns, antiphons, psalmody, and many other items. One could study it one’s whole life and only just begin. 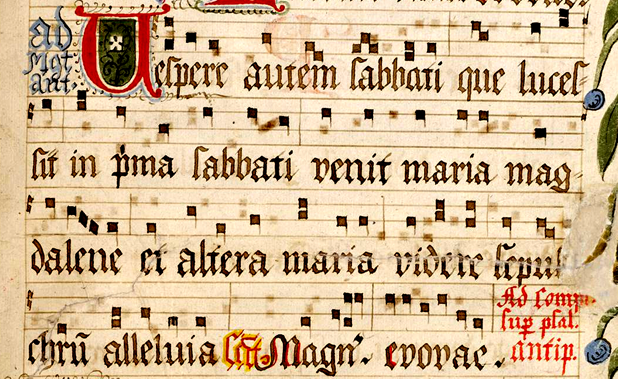 The Chabanel Psalms are more or less based on Gregorian Antiphons, and with each passing year, the compositions conform themselves more and more to the Antiphonale melodies. On the upper right is an example of a Chabanel Psalm. However, I have to admit that I doubt the Chabanel Psalms will ever be able to “match” the beauty of the Gregorian Antiphonale. (Matthew 28:1) Véspere autem sábbati, quæ lucéscit in prima sábbati, venit María Magdaléne, et áltera María, vidére sepúlchrum. And in the end of the sabbath, when it began to dawn towards the first day of the week, came Mary Magdalen and the other Mary, to see the sepulchre. What Are The Mass Propers? is an ongoing series dedicated to exploring the Catholic Liturgy. Although this series will focus on the Graduale Propers, other subjects will also be included. The views presented here do not necessarily represent the views of Corpus Christi Watershed. Comments, advice, and criticism are welcome, and can be E-mailed. E-mails will be read, but cannot always be answered (due to time constraints). To learn more about how Watershed is helping spread the love of Propers, please visit the Vatican II Hymnal website. “AF” refers to Adrian Fortescue, The Mass: A Study of the Roman Liturgy (1912).